Interested in beauty gifts this Christmas? 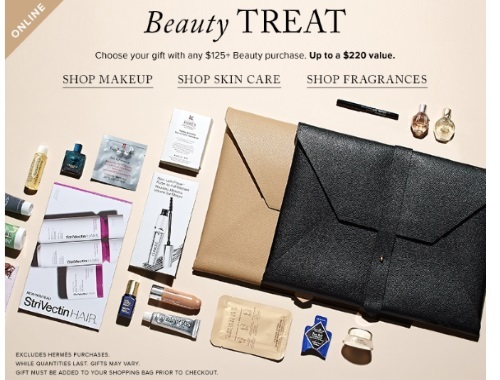 Hudson's Bay has a great little beauty treat gift with any $125 beauty purchase online (up to $220 value). Gift includes a Document Holder and lots of deluxe samples from brands such as Clinique, Estee Lauder, Jack Black, Origins, Marvis, YSL and more. While quantities last, gift must be added to your shopping cart prior to checkout.